My last post discussed the new air combat era of integrated manned and unmanned aircraft operations. There’s a clear technology push for the ADF to acquire Strike/ISR UAVs. But before that happens, there needs to be a compelling strategic pull. Just because other, comparable, middle power nations are doing this doesn’t necessarily mean we should. The ADF currently operates the Heron (Air Force) and Shadow (Army) UAVs in Afghanistan. The Heron capability is leased until mid-2014 and apparently won’t be retained. By contrast the short range, low altitude, low endurance Shadow, acquired under the troubled Joint Project 129, is now firmly embedded in Army. Later this decade Defence plans to acquire several Triton high altitude UAVs being developed by the USN for maritime surveillance tasks and to complement the P-8 Poseidon maritime patrol aircraft. Triton—the maritime patrol version of the Global Hawk—will provide excellent wide-area overwater surface surveillance but is less suitable for overland tasks, doesn’t provide as reliable video surveillance as other UAVs now do, and may not be survivable in a high air threat environment. 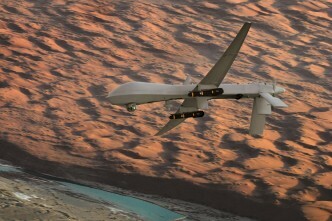 Like many UAVs, Triton is a single use platform, and not a cheap one. On the air combat side, the intentions are to acquire 100 JSFs. This single monolithic solution creates a big homogenous fleet of highly capable fast jets but is a big bet in assuming that one aircraft type can meet all future air combat needs and offers little capability diversity. 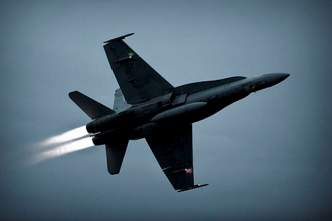 In short, Air Force needs to stay relevant – a major theme of CAF’s recent ASPI speech (PDF). 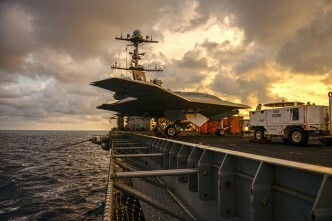 A possible solution is to embrace the UAV revolution and build a mixed manned and unmanned air combat capability that’s effective across the complete conflict spectrum. A judicious range of Strike/ISR UAVs can be both important in irregular wars while most usefully complementing manned aircraft in major state-on-state wars. As the last post discussed, Strike/ISR UAVs are now suitable for many missions across the conflict spectrum and offer operational advantages that manned aircraft do not have. Such a heterogeneous air combat structure would be characterised by diversity and variety, rather than the uniformity and homogeneity of the solely-JSF option. In some respects this approach is already evident in the progressive development over the last decade of the RAAF’s air transport capability fleet of 10 C-27J light tactical transport aircraft, 12 C-130J medium transport aircraft, two Boeing 737 and three Challenger VIP transport aircraft, five KC-30A tanker/transport aircraft and six C-17 heavy lift aircraft. 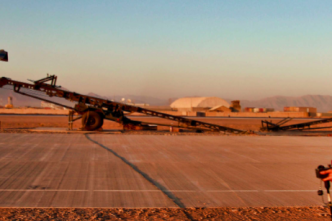 This heterogeneous air transport force can arguably better handle a greater diversity and range of operational tasks than a large, single type homogenous fleet, although at the price of increased life-cycle costs. Affordability is a real issue for heterogeneous force structures. Economies of scale favour a single type fleet. 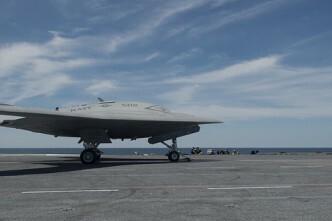 Countering this is that an individual JSF is markedly more expensive to acquire and maintain than an individual UAV, although the higher attrition rate of UAVs makes the calculus closer than may initial be thought. A careful mix of expensive and low cost systems may not be more costly than a single large fleet of expensive platforms. Affordability constraints suggest a heterogeneous force structure would be thin. It might provide broad coverage in being useful in many circumstances but it would lack large numbers of platforms in each role. This contrasts with the 100 JSF option, which would be deep but useful only in a relatively narrow range of situations. At times, however, quantity might have a quality all of its own. 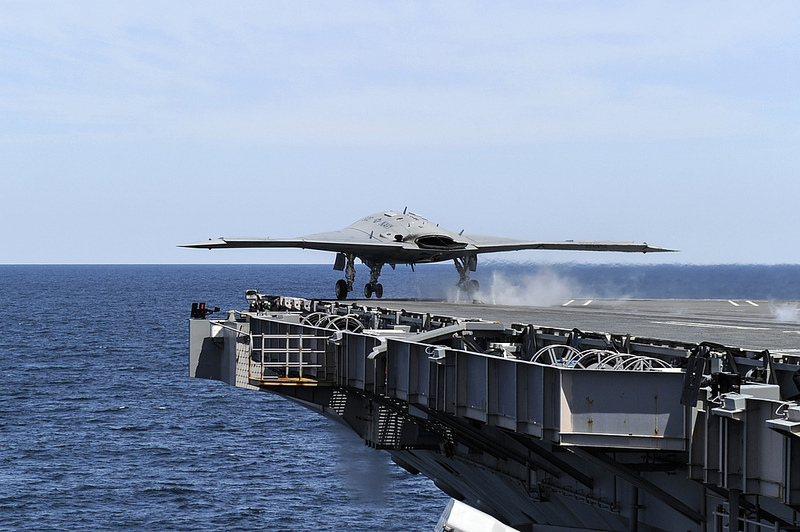 In thinking about these worse case situations, it’s notable that the USAF and USN consider limited numbers of high-end UAVs a significantly help to manned aircraft in achieving their missions. Lastly, there are some worries over the current use of drones in counterterrorism operations, in terms of being ethical and legally sound. These are important issues for Western forces seeking the moral high ground. With UAVs being simply remotely piloted aircraft, it may seem unusual that manned aircraft (and missiles) that use the same technology are not also being so scrutinised. 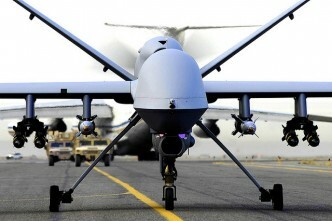 The matter may be more about how some UAVs are currently used than their technology. The need of the hour is for middle-power, full-spectrum capable air forces to ensure that they are not reduced to a tactical tool of strategic insignificance. Peter Layton is an independent researcher completing a PhD on grand strategy at UNSW. He has been an associate professor at the US National Defense University. Image courtesy of Flickr user Official U.S. Navy Page. 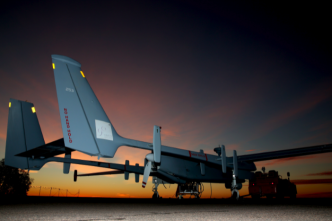 Unmanned aerial systems—where to for Australia?